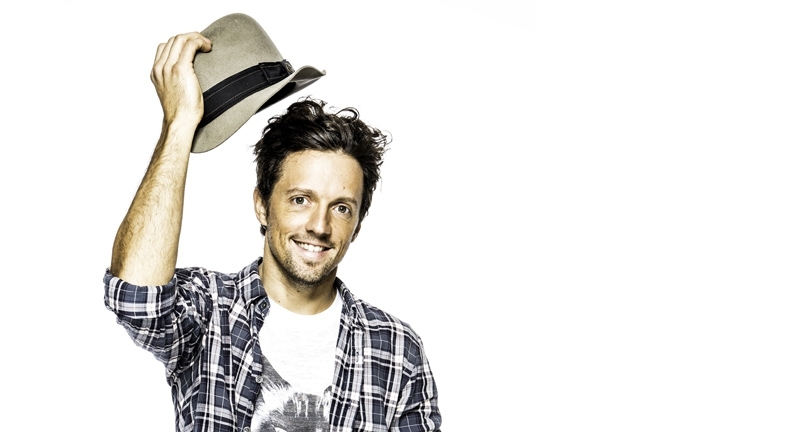 Jason Mraz has quietly amassed a youthful, diverse, and vibrant fan-base around the globe. He will soon arrive to Budapest to perform his first concert in Hungary, on March 14 at the Budapest Congress Center. Since getting his start in coffeehouses in his adopted city of San Diego, Mraz has brought his positive message and soulful, folk-pop sound to rapt audiences everywhere through his recordings, vibrant live performances, and philanthropic efforts. He made pop history with his record-breaking classic singles “I’m Yours” and “I Won’t Give Up”, racked up 2 Grammy Awards among 6 nominations, won a prestigious Hal David Songwriter Hall of Fame Award, along with the Teen Choice and People’s Choice awards. He has sold out amphitheaters and arenas, including such iconic venues as The Hollywood Bowl, Madison Square Garden, and London’s O2 Arena. A dedicated surfer, farmer-gardener, filmmaker, and photographer, Mraz is, primarily, a committed global citizen. His impassioned social activism and philanthropic efforts span wide-ranging environmental advocacy and ardent support for LGBT equality. He participates in global activism such as a rescue mission to Ghana with Free The Slaves and an internationally broadcast performance in Myanmar in front of 90,000 capacity audience to bring awareness to human trafficking with MTV Exit. Through it all, Jason Mraz continually confirms and celebrates music’s myriad forms and miraculous power, inspiring and delighting his countless fans around the world he calls home.